They don’t toss jobs to just anyone. You don’t have to be from Ladder 49 with thirty years on the line to land an opening. But you’ve got to prove you’re worthy. And you’ve got to do it with a single sheet of paper. Don’t panic. It’s not a five-alarm assignment. Show your skills and achievements right, and you’ll stand out like Steve Buscemi in turnout gear. A firefighter resume example better than 9 out of 10 others. How to write a firefighter resume that gets more interviews. Tips and examples of how to put skills and achievements on a resume for firefighters. How to describe your experience on a resume for a firefighter to get any job you want. Here's a sample resume for a firefighter made using our resume builder. Firefighter Resume Examples - See more templates and create your resume here. What's the Best Template for a Firefighter Resume? In a job where one mistake can kill, firefighter resume format matters. 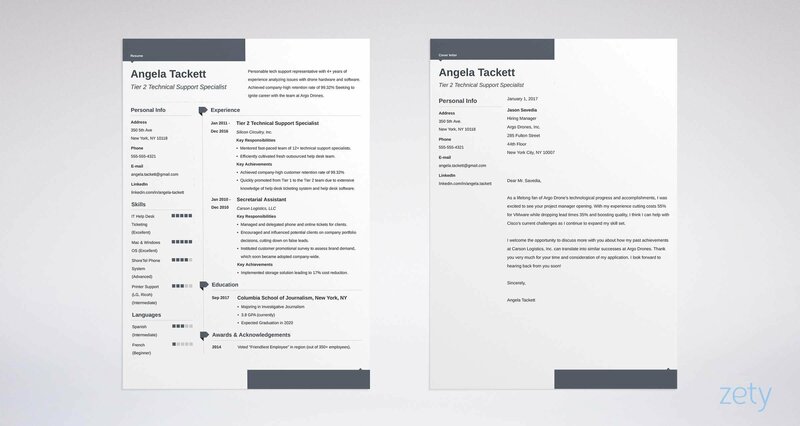 Pick a trusted layout like the reverse-chronological resume template. It puts your best moments where the chief will see them. 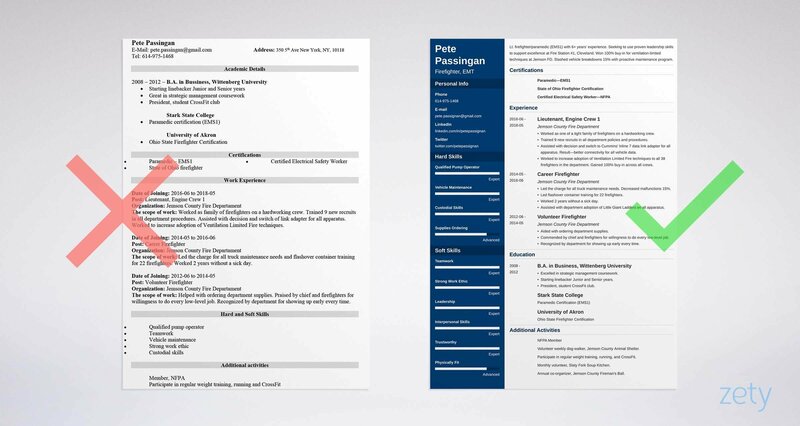 Use white space, clear headings, and the best resume fonts to keep it visual. Last, save your fire resume as a PDF. Firefighter resumes in word format can become structurally unsound once you send them. Check the job offer to make sure PDFs aren’t a code violation. Pro Tip: Switching to firefighting from another career? Highlight transferable achievements. The combination resume format does that best. That’s the dumbest thing a firefighter hears. That’s the dumbest thing a fire chief reads in firefighter resumes. The typical job opening generates 250 resumes. That means the chief will likely skim—not read—your resume. Change that with a details-anchored firefighter resume objective or resume summary. A resume objective shows passion. Use one if your experience is just a spark. A resume summary shows experience. Write one if you were on the job when Steve McQueen was pretending to be. The two senior firefighter resume examples below show the plan. Highly skilled firefighter with 6 years of experience. Handled all firefighter duties and responsibilities at Jemson County Fire Department. Proven skills in leadership and pump operation. That’s not exactly a smoke explosion but it won’t kindle an interview inferno either. Lt. firefighter/paramedic (EMS1) with 6+ years' experience. Seeking to use proven leadership skills to support excellence at Fire Station #1, Cleveland. At Jemson County FD, won 100% buy-in from all team members for ventilation-limited techniques. Slashed vehicle breakdowns 15% through proactive maintenance program. Nice. You're in the Red Adair zone. The measurable accomplishments make it glow. What if you’re writing a firefighter resume with no experience? See the next two entry-level firefighter resume examples. If your firefighter experience is sputtering, try a resume objective. Tough firefighter, focused on helping people and saving lives. Have completed firefighter training. Skilled in pump operation. Have valid driver’s license and am very excited to learn on the job. Gosh, that chap has verve! Now let’s hire someone with experience. Here’s the big secret: Even in a firefighter resume with no experience, you need experience. Hard-working, team player firefighter and paramedic (EMS1). As volunteer at Jemson County FD, aided with ordering supplies. Cut supply costs 10% through better vendor relationships. Commended by chief 2x for stepping up for every low-level task. See? No experience, but experience. The chief will drop his copy of 3000 Degrees when he reads it. Don’t have even that much experience? You do, or you can get it fast. I’ll show how next. Eyes and ears open, mouth shut. There’s too much to learn when you’re a rookie. That’s very important considering you may be fighting anywhere from 20 to 1,500 applicants! Pro Tip: Write your firefighter EMT resume objective or resume summary last. With the rest of your resume in place, the spark of inspiration will come easy. What does he look for most in firefighter resumes? An ivy league degree? Connections to the Kardashians? Or does he want experience? But you can’t just say, “experienced firefighter” on a fire resume. You’ve got to show accomplishments he cares about, and metrics that prove their size. Do it with 3-5 resume bullet points per job. The professional fire lieutenant resume examples below light it up. Worked as one of a tight family of firefighters on a hard-working crew. Trained 9 recruits in all department policies and procedures. Assisted with decision and switch to Cummins' Inline 7 data link adapter for all apparatus. Result—better connectivity for all vehicle data. Worked to increase adoption of Ventilation Limited Fire techniques to all 38 firefighters in the department. Gained 100% buy-in across all crews. The chief would have to have a standpipe for a head to pass that up. Handled all firefighter requirements, duties and responsibilities. Assisted with training new recruits. Single-handedly saved 3 babies from burning buildings. What a whacker. It looks under control until you stack it next to 200 others. Then it turns to soot. And if you have no experience at firefighter jobs? See the next two entry-level firefighter resume examples for a map. It’s easy to learn how to become a firefighter. Almost 70% of all U.S. firefighters are paid volunteers. Volunteer work on a resume for firefighters is NYFD-worthy. It’s not hard to get, since departments rely on vollies to fill their staffing. Putting those things on an entry-level firefighter resume will get attention like Jack Morrison at a Wendy’s. The next two entry-level firefighter EMT resume samples show the difference. Firefighter Experience: Still looking for my first real firefighting job. I’m a hard worker and I’d make a great employee. That guy probably has a tot-finder in his window. Aided with ordering department supplies. Slashed supplier costs by 10%. Commended by chief and firefighters for willingness to do every low-level job. Recognized by department for showing up early every time. Perfect. She’s a Hellfighter. Basically, an entry-level firefighter resume is a volunteer firefighter resume. But don’t submit a generic EMT resume to firefighter jobs. Departments do want EMTs, but show you’re targeting a firefighter career. Prove you’re responsible about being on time. That’s a big thing in the fire service considering it’s paramilitary background. As we say, ‘Early is on time, on time is late, and late is unacceptable. Pro Tip: How do you prove work ethic in a fire dept resume? Find evidence in your past. Even a nice compliment from a former boss can show you’re stretchin’ ready. Firefighters don’t need an education. A high school diploma is enough. But it’s better to have it and not need it than need it and not have it. In other words, you have to show it. So—use it to show the right stuff. Then add relevant firefighter accomplishments. Which of these sample firefighter resume sections will get the job? Excelled in strategic management coursework. Starting linebacker Junior and Senior years. You don’t need thermal imaging to see that applicant is hot. He’s got leadership skills, and he’s athletic. Total structure fire. It needs relevant details. Pro Tip: Does GPA matter on a fire resume? If it’s very recent or very high, yes. If not, save the space for an impressive job-related accomplishment. You can’t say, “I’m skilled” on a fire department resume. But you can pick the right skills from the job offer. Then, prove them just enough to get the interview. The next two fire department resume examples explain. Firefighter Skills: (1) vehicle maintenance, (2) training skills, (3) dependability. If the job isn’t listed online, maybe you learned about those skills by talking to the firefighters. Or you met the chief himself. The point is, don’t just say you’ve got the skills. Led the charge for all (1) vehicle maintenance needs. Decreased malfunctions 15%. Led flashover container (2) training for 22 firefighters. (3) Worked 2 years without a sick day. With a tied-in fire dept resume like that, you’ll unleash a direct attack of interviews. You just proved you’ve got exactly what they’re targeting. Need some firefighter skills for your resume? Try the list below. This isn’t a comprehensive list of firefighter resume skills, but it’s a great start. It’s stuffed with great resume keywords. Need more? Look at firefighter jobs online. Departments are usually looking for solid work ethic and honesty. I would say those are two of the most highly coveted traits. Anything on a resume that shows those would be good. In a wildland firefighter resume, show skills at conducting backfire operations, operating hoses, and forecasting fire behavior. Pro Tip: Don’t be a woo-woo! Never brag in a resume for firefighters. “Responsible for truck maintenance and ordering supplies” is resume gold. “Carried two old ladies from a burning building” isn’t. Do certifications matter on a firefighter resume? You bet your maltese cross forehead tattoo they do. So don’t make a rookie mistake and bury them. If you’re a paramedic, you’re in. As long as you show it right on your resume for firefighter jobs. Put it by your name, in your resume objective, and in a special certifications section near the top. That way, even if the chief skims your fire fighter resume, you’re hired. Add other certifications on a resume for firefighters. But make sure your paramedic cert stands out. Don’t have a paramedic cert? EMT is next in line. Most fire departments are taking over EMS responsibilities, so an EMT cert is useful. However, a paramedic certification is almost a guaranteed "in". It can take a year or sometimes 2 to get it. But with a paramedic license, many departments (even big cities) will let you skip most of the long drawn out hiring process and straight-up hire you. Pro Tip: Got a valid driver’s license? That’s a must on a resume for firefighter jobs. Also add a DOD fire cert if you’ve got it. Other certifications from the NFPA look good too. A monkey can ride the apparatus. But will you work hard? Do more than your share? Show up early? Firefighting is a team sport. The department wants to know you’re trustworthy and great to work with. So—on your firefighter EMT resume, say, I’m trustworthy and great to work with. Show evidence instead, with "other" sections on a resume for firefighters. Watch that crackle in two sample fire service resume sections. That guy might make a great firefighter. But you’d never know it from that firefighter paramedic resume example. Volunteer weekly dog-walker, Jemson County Animal Shelter. Participate in regular weight training, running, and CrossFit. Monthly volunteer, Slaty Fork Soup Kitchen. Annual co-organizer, Jemson County Fireman's Ball. That firefighter resume example shows you’ve earned your place in the collapse zone. You clearly want to help, and you make sure you’re fit to do it. It may be obvious, but stay out of trouble. You won't get hired with a criminal record. Pro Tip: Attending conferences or writing articles can help a firefighter EMT resume. But the best “other” sections on a resume for firefighters show you love to help your team succeed. What About a Firefighter Cover Letter? Do you need to send a cover letter with a firefighter resume? Get the chief’s attention with his or her name. Then show you understand what the department needs. Land the interview by promising to fill those needs. Do all three, and you’ll stand out like Keith Jardine. Always end a cover letter with an offer. For instance? 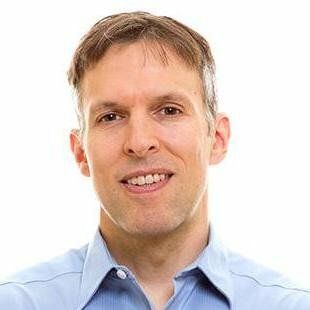 “I’d welcome the opportunity to show how I cut supplier costs 15% through smarter vendor selection." Pro Tip: Should you follow up on your firefighter cover letter in three days? One week? Do both. Two short, polite emails won’t annoy anyone, but they might get you the interview. You even avoided using bigfunpartyboy2398723@hotmail.com. You went with the more professional firstname.lastname@gmail.com. But you didn’t sanitize your social media profiles. Even if you don’t put your Facebook profile in your contact info, social media can sink you. One off-color Facebook comment from five years ago can send your job search up in smoke. So—use our guide to putting out your social media grease fire. Pro Tip: Do you need a street address on a resume for firefighters? If you live close to the department, it’s a plus, so add it. Otherwise, it’s not required. Write a firefighter resume objective. Put your best 2–3 measurable accomplishments in it. Custom-fit your resume for firefighter jobs. Know what the department wants, then show evidence you’ve got those qualities. Add other sections that prove your firefighter skills. In a firefighter EMT resume, that usually means showing you’re a team player, not a freelancer. Definitely write a firefighter cover letter. You need to give the chief a reason to read your resume, so make your letter anything but generic. Do you have questions on how to write a great resume for a firefighter? Not sure how to describe your skills or achievements? Give us a shout in the comments! We’d be happy to reply!